ABBOTSFORD — Last Friday, before he took to the court for Seniors Night and the final regular season home game of his Canada West career, Fraser Valley Cascades’ forward Andrew Morris got a timely text, one which served as a personal reminder of why he has persevered seven seasons to complete his university basketball journey. Especially when they spend the first four years of post-secondary life trying to find a fit at three different schools. Start with a non-fit in the ultra-tempo, three-point shooting offence of the 2012-13 Simon Fraser Clan. Follow that with two confidence-building seasons (2013-15) with Capilano in the CCAA. Then, in his first go-round in U Sports, the frustration of yet another non-fit, this time over a 2015-16 campaign with the Victoria Vikes. Ask Morris about it, however, and the sacrifice has just heightened his appreciation of what it’s felt like to play in games like the one the Cascades will host Thursday (7 p.m.) on campus at its Envision Financial Athletic Centre. In a pressurized clash to open the first round of the conference playoffs, sixth-seeded Fraser Valley (13-7) will host Prince George’s 11th-seeded UNBC Timberwolves (9-11) in a sudden-elimination game, with the winner advancing to a best-of-three quarterfinal series. 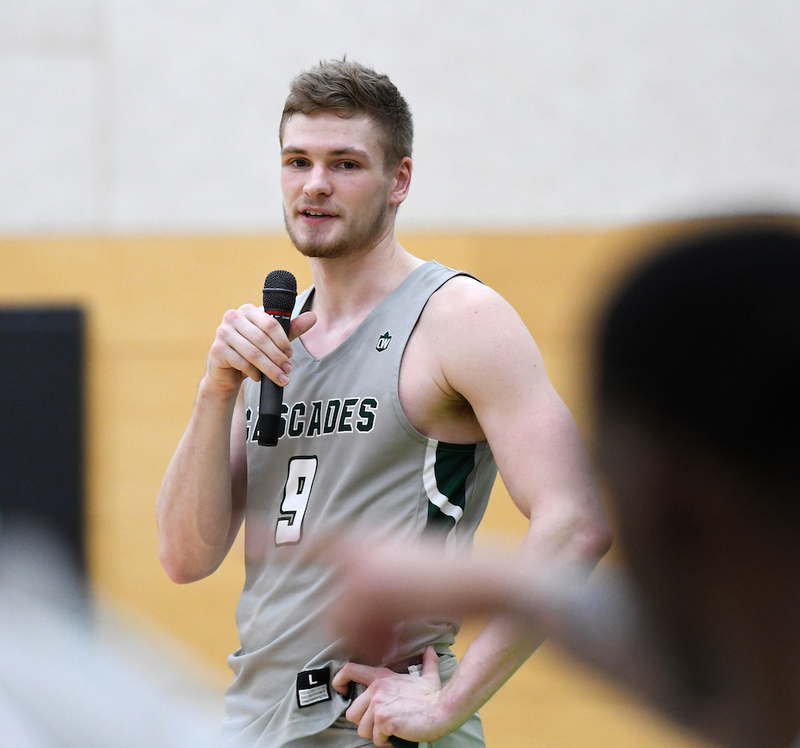 “I was starting to lose my passion for the game before I came to UFV but I am ecstatic with the way everything has turned out,” admitted Morris, 25, who in his second full season as a Cascades’ starter averaged 10.1 points and 4.7 rebounds while enhancing his reputation as a glue player, ready to optimize his 25.9 minutes-per-game in whatever ways would best help his team. 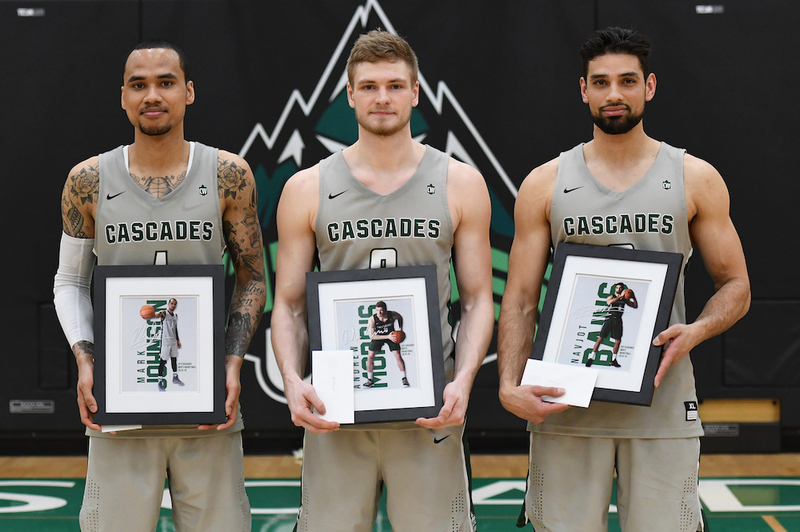 Any way you slice it, the Cascades were the most improved team in the Canada West, and not just by virtue of their rise from last season’s 5-15 playoff miss to accumulating this season’s sixth-best conference RPI and a 13-7 record. If you took the Canada West’s preseason coaches poll and compared it to the conference’s final standings, you’ll see that 16 of the 17 teams all sat within minus-four to plus-three wins of their initial projections. The Cascades were the outlier at plus-seven. And if you asked UFV head coach Adam Friesen about the importance of the role Morris played on a team that welcomed back fellow veterans Parm Bains and Mark Johnson, and installed highly-regarded NCAA Div. 1 transfer Sukhjot Bains into its schematic, the answer was as understated as the player himself. Andrew Morris’ high school career ended in the 2012 B.C. Double-A championship final, where his STMC Knights dropped a 70-56 decision to the Mission Roadrunners. It was, in many ways, the first of three chapters for the talented Morris brothers. Last season, middle brother Reese finished his fourth season at the PacWest’s Douglas College by helping to lead the Royals all the way to the CCAA national championship final. This season, the youngest of the crop, Cam Morris, played his freshman season with the UBC Thunderbirds, and there remains a chance that if the Cascades can get past UNBC this weekend, that Reese will be able to take a seat at War Memorial Gymnasium and watch his two brothers face each other in a best-of-three conference quarterfinal. Three brothers, three next-level players, but dig a little deeper and you find that there is even more to the story: Parents who bring both a basketball and an elite international athletic background to the table. In keeping with the soft-spoken, humble nature of the family, Morris’ mom Tonya only recently told Andrew about her own youth sports accomplishments as a swimmer. As Tonya Adrian, she was garnering national attention by the age of 11, and those headlines took on an international flavour by the time she had hit her early teens. The front page of The Vancouver Sun, world-class times, and a potential spot at the 1984 Summer Olympics before an injury de-railed her opportunity. On a more local level, dad David Morris, a combo guard and second team B.C. Triple A tournament all-star for the Burnaby South Rebels in 1975-76, went on to play collegiately at Western Washington, before returning home to the join an SFU Clan team coached by the late Stan Stewardson and led by the dynamic Jay Triano. “After my dad had gone to SFU, he decided to leave the team and focus on his academics, and so he never used up all of his (athletic) eligibility,” Morris begins. “That is something he’s told me that he regrets and I’ve always kept that in my mind. He’s told me to stick with things, to fight through adversity, and he’s been a rock for me my whole career. For all of the success and for all of the lofty improvement which has lifted the Cascades into the Canada West playoffs, you can not disguise Thursday’s 7 p.m. home tip against UNBC as anything but a season coming down to a single game for two talented basketball teams. Yes, Fraser Valley swept both ends of a home twin-bill by scores of 81-62 and then 85-79. Yet that was back on Nov. 23-24. Coached by Todd Jordan, UNBC features fifth-year senior guards Jovan Leamy and James Agyeman, both out of Toronto, fifth-year Greek international forward Vaggelis Loukas, fourth-year ex-Kitsilano Blue Demon Anthony Hokanson and third-year guards Tyrell Laing (PGSS) and Volodymyr Pluzhnikov (Ukraine), both capable of leading their team in scoring. Also consider that UNBC was in the exact same position last season, going on the road as a No. 11 and beating No 6 Winnipeg 71-68. As well, this season they have beaten RPI No. 2 Alberta, No. 4 Saskatchewan and No. 7 Lethbridge. As game day approaches, it’s hard to think that Andrew Morris could ever lose sight of what’s at stake, how far he’s come and how much he’s learned to the love the game again. The No. 10 women’s Cascades (10-10) play under the same high post-season stakes Friday (7 p.m.) when they visit the provincial capital to face the Victoria Vikes (12-8). 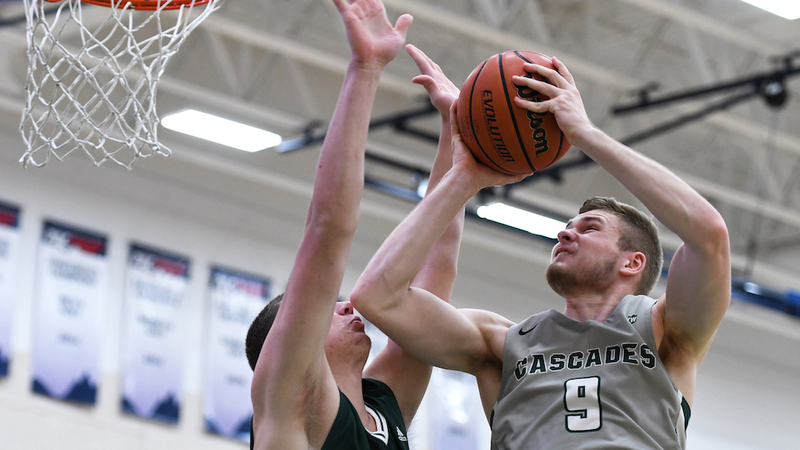 The teams split a weekend series Jan. 11-12 in Victoria, with the Vikes winning the first game 91-58 and the Cascades coming back to win the second 73-71. Last season, as the No. 12 seed, UFV was trounced 91-62 by No. 5 Victoria in the 2018 play-in round.